PeeWee AE4 - WRRC - Needs Food Donations! 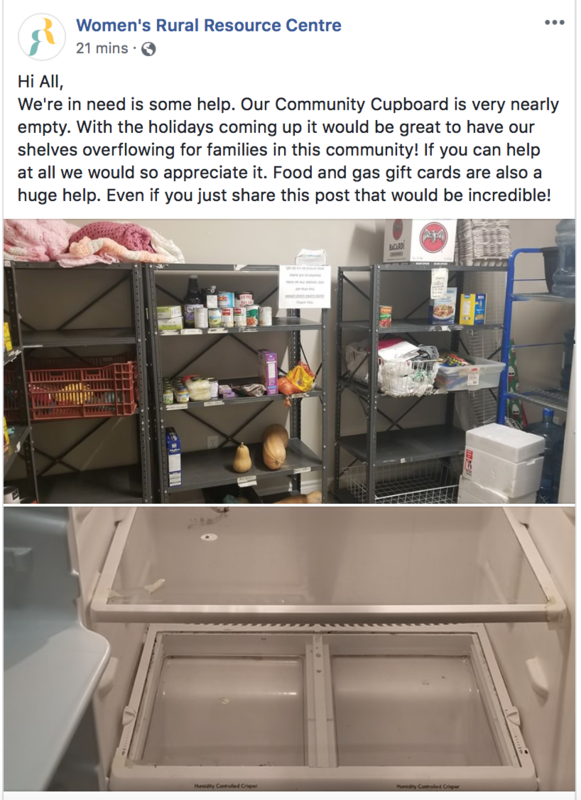 The Women's Rural Resource Centre (WRRC) in town has posted that their community cupboards are nearly empty at a critical time of the year when many members of our community need the assistance. On home games this week - Tuesday & Friday - the Strathroy Rockets Peewee AE4 team we will have a box/basket to collect any food items (can even be - vegetables such as Carrots, potatoes, squash or fruits - apples, oranges...) or gift cards anyone is willing to donate. We appreciate everyone pulling together to help out! Please share with your family & Friends that may be coming to watch games on those days that they can drop off while they are at the arena. We encourage ALL STRATHROY ROCKETS TEAMS & teams competing against us to join us and work together!! We will have a basket or box at the front gate for donations. Registration is now open till April 30, 2019. Go to Registration Tab above and read the General Information before filling out the registration form. Please see the below list for this months winners! » PeeWee AE4 - WRRC - Needs Food Donations!